Form Circle Bangle in brass and midnight is part of a collection of minimal, geometric jewellery inspired by mid-century modernist art and architecture. 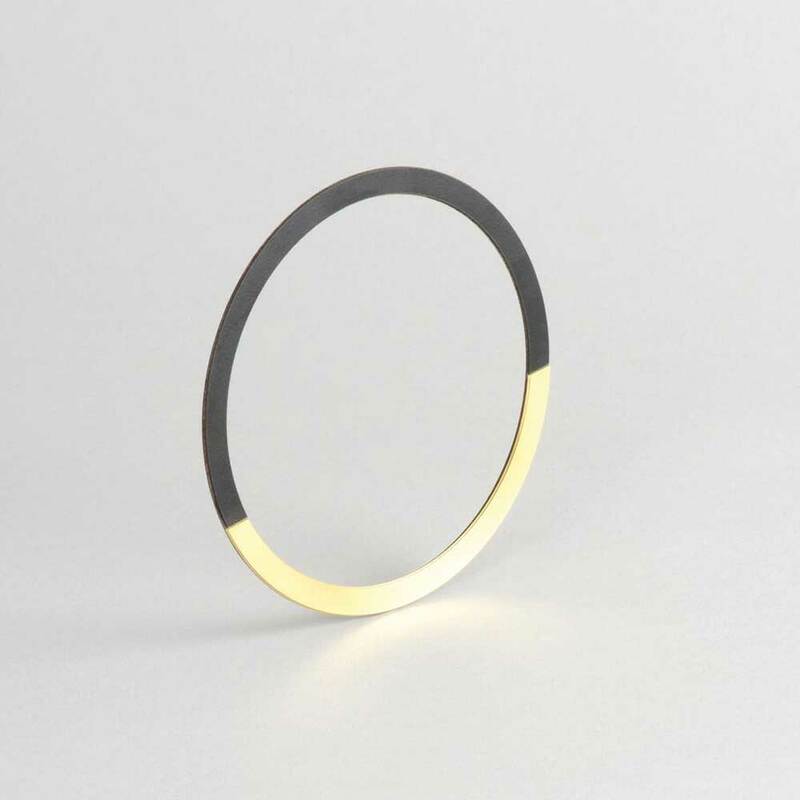 Handcrafted using layers of flat black Formica and solid brass, this bangle is simple, slim and super-minimal. Care: The metal on this bangle has been waxed to reduce oxidisation. Over time the metal will age naturally, developing a richer, darker tone. Due to the super thin, delicate design, we recommend that you treat your Form bangle with care and store it safely in its box when not being worn. Seed in Frome, United Kingdom.